Once you've shot your slides, get them processed at a photo lab that does E-6 processing. This process only takes about an hour. 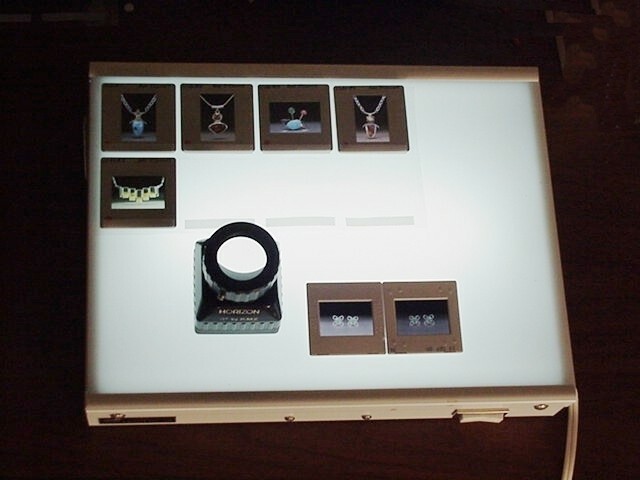 A light table and loupe is the best way to sort and view your slides once they've been processed. I also recommend getting duplicates made of your best slides and scans made for computer use if you don't have a digital camera. .